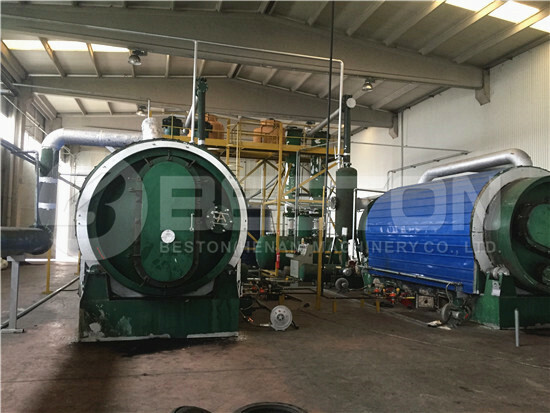 Beston Machinery Company has developed the newest biomass carbonization plant, which has mainly utilized the high temperature carbonization technology. 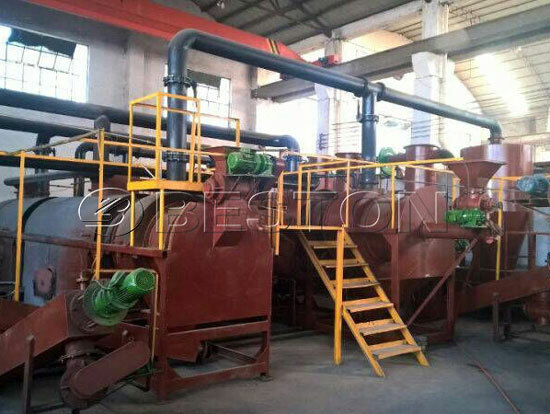 The carbonization equipment can be also called biomass charcoal making machine, biochar production equipment, biomass waste recycling machine, continuous carbonizer, etc. 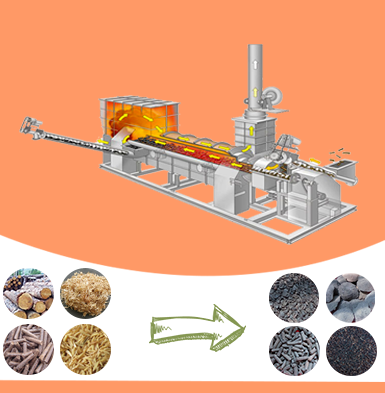 The raw materials of our carbonization machine mainly include rice husk, wood chips, coconut shell, palm shell, bamboo, etc. The whole process has high GCV (gross caloric value), low humidity, high performance on combustion and without CO2 emission. In addition, the burning fuel can be self-supported by the carbonization furnace. 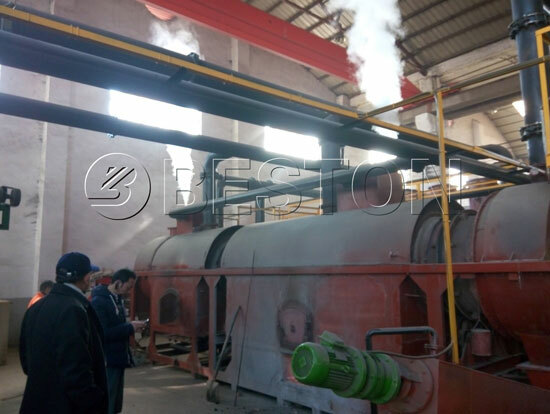 Beston biomass carbonization machine has been patented on the basis of biochar production technology, PLC control system as well as the furnace. 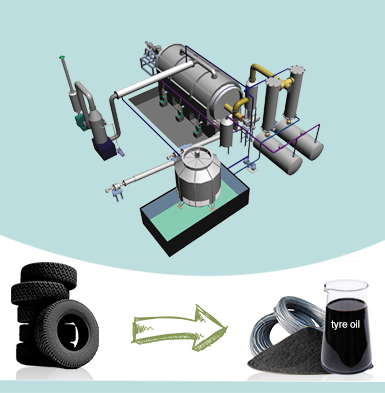 For the purpose of high-quality charcoal, our biomass carbonizing machine has been equipped with a dry device. At this stage, it is mainly used to remove the residual moisture and there is no chemical change. As the temperature of carbonization furnace keeps continuously increasing, the raw materials will generate biomass charcoal and combustible gas in the reactor. Then in order to guarantee the security of the whole operating process, the finished charcoal will be conveyed to cooling system to decline the temperature of charcoal to 30℃. And the combustible gas will be further processed. After the treatment of charcoal, it can be packaged and sold directly. As for the combustible gas, it can be said the major hot source of the whole charcoal carbonization process. 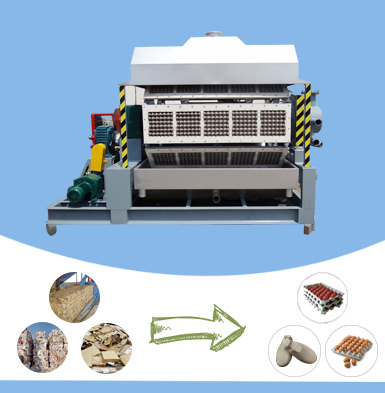 At first, the combustible gas will be purified by spay dedusting system, which can remove the harmful components – sulfurs to reduce the environmental pollution; then the cleaning combustible gas will pass through the condenser system; at this step, it will extract tar and wood vinegar, both of which are also precious materials; finally, under the foundation of draft fan, the combustible gas will be recycled to heat the furnace and dry device instead of traditional fuel, such as coal wood and natural gas. By this method, our biomass carbonization machine can truly realize the heat self-supporting, which can not only reduce the consumption of non-renewable energy, but also can protect the environment. The technology is the so-called one fire with two steps. 1. At first, the moisture of raw material should be less than 20%, and the size of materials is less than 50mm. So that drying device and cracking machine are necessary for the carbonizing procedure. 2. The carbonization time always lasts for 15 minutes, and the charcoal yield rate is about 3:1 or 4:1. 3. The temperature of furnace is between 400℃and 600℃, which can ensure that the raw materials will be fully processed. 1. 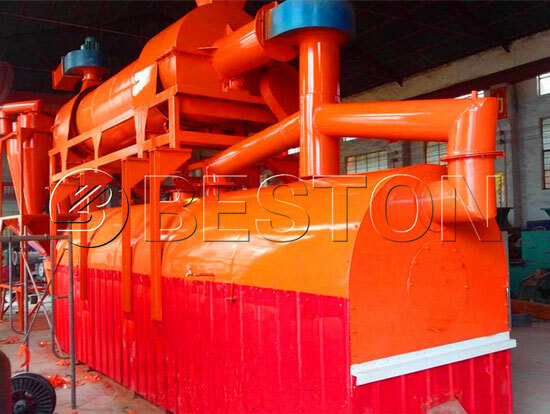 Beston carbonization plant utilizes high temperature carbonization technology to convert various biomass wastes to biomass charcoal, tar and wood vinegar. 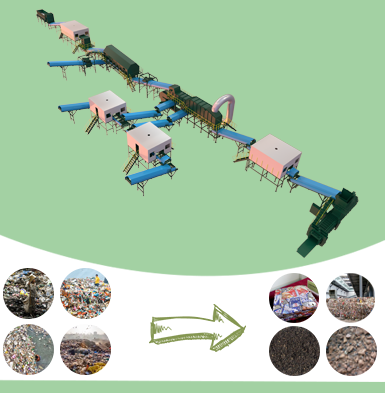 In addition to biomass wastes, the machine also can process sorted MSW wastes and sewage sludge. So it is the typical design of a single machine with multiple purposes. 2. 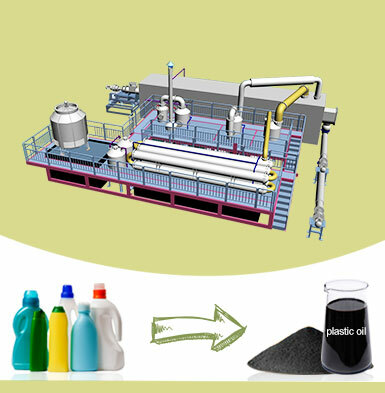 Using continuous carbonization production pattern can largely increase the whole carbonization efficiency and the rate of charcoal yield. 3. The whole working process has realized the thoroughly automatic operating, which can make the whole operating structure easier with a high working efficiency. The carbonization rate is 88% to 99%, and charcoal making rate will be higher than 40% and 60%; and the finished product is more than 95%. 4. In order to ensure the quality of our equipment, our continuous carbonization furnace has specially introduced special materials and unique design of double layers, so that the biomass charcoal machine has larger using space and longer service time. Furthermore, the unique design of double layer can avoid the hot source contacting with the bottom of furnace, to reduce the abrasion of charcoal carbonization furnace which benefits to extend the service life of the whole set of machine. 5. Fully sealed working condition can make sure that there is no harmful gas generating, so as to reduce pollution. 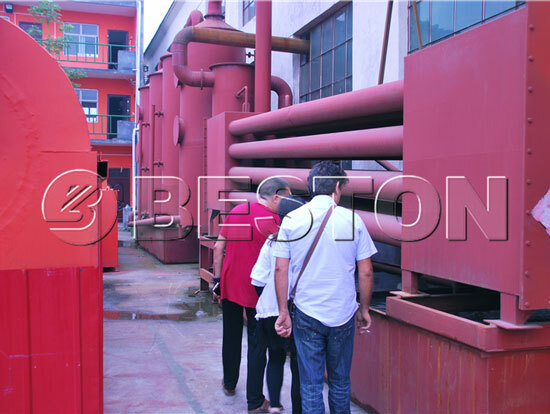 Beston biomass carbonization machine for sale has been widely applied in many foreign countries, such as Turkey, Brazil, etc. Most equipment have been installed and ran to production, which has not only improved the local environment, but also driven the economic development.